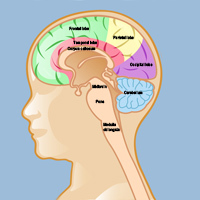 Some of the basic structures of the brain are the lobes, the cerebellum, and the brainstem. It can be one of the most devastating diagnoses a parent can hear — and the parents of about 1,500 children a year in the United States hear it. If your child has been diagnosed with a brain tumor, information is your best weapon in the journey you are about to begin. This overview will help you understand brain tumors in children and will direct you to more detailed information about your child’s specific type of tumor. Brain tumors are described and identified in several different ways. Some describe the tumor’s location, some describe the type of cell that originated it, and others describe the nature or origin of the tumor. A primary tumor is one that originated in the area in the area in which it is found. Most pediatric brain tumors are primary. A metastatic tumor is one that develops as an extension of another cancer (such as lung, breast, colon, or kidney). Many adult brain tumors are metastatic, but they are rare in children. A benign brain tumor usually has definite borders and clean edges and does not infiltrate into healthy brain tissue. A benign tumor is not cancer, but it may need to be removed if it’s causing symptoms or creating pressure in the brain. The most common benign tumor in children is called a cerebellar astrocytoma (named for its location and its origin – see below). A malignant tumor is a cancerous growth that spreads and infiltrates into other brain tissue. The most common malignant tumor in children is called medulloblastoma (also called a primitive neuroectodermal tumor, or PNET). Treatments vary by the type and location of the tumor. The line between benign and malignant is not always clear, and some tumors are diagnosed as “anaplastic,” or intermediate. Posterior fossa tumors are the most common kind of pediatric brain tumors. The posterior fossa is an area at the base of the skull and includes the brain regions called the cerebellum and the brainstem. A tumor can be identified even more precisely within the posterior fossa — it may be referred to as a cerebellar tumor or a brainstem tumor, or a pontine tumor if it is located within the pons section of the brain stem. The most common posterior fossa tumor is the medulloblastoma (or primitive neuroectodermal tumor/PNET). Several different types brain tumors can develop in one of the cerebral hemispheres, the most common of which are gliomas (see below). Like posterior fossa tumors, cerebral hemisphere tumors can be more specifically located – hypothalamic gliomas, for example, are cerebral hemisphere tumors located within the hypothalamus gland. Gliomas are named for the glial cells from which they grow. About half the cells in the brain are the all-important neurons, which send and receive messages between the brain and every other part of the body; the other half are glial cells that protect, support, and supply nutrients to those neurons. Oligodendrogliomas grow from oligodendrocyte cells. Ependymomas grow from ependymal cells. Schwannomas grow from Schwann cells (these are nerve cells that are in the peripheral nervous system, not the central nervous system, but they are included here because they often develop in the nerves of the head and neck). Glial cell tumors that include different types of these cells are called mixed gliomas. Gliomas can develop in many different locations in the brain, so tumors with names like “optic nerve glioma” or “brainstem glioma” refer to both the tumor’s physical location and its glial origins. Craniopharyngiomas develop from the pituitary stalk, which attaches the pituitary gland to the brain; they are found only in that location, above or around the pituitary gland. Meningiomas develop from the meninges — the outer layers of the brain. Embryonal tumors develop when a fetus is first forming. Embryonal tumors include primitive neuroectodermal tumors (PNETs) , medulloblastomas, pineal gland tumors, medulloepitheliomas, and ependymoblastomas. Medulloblastomas are the most common malignant brain tumor in children. 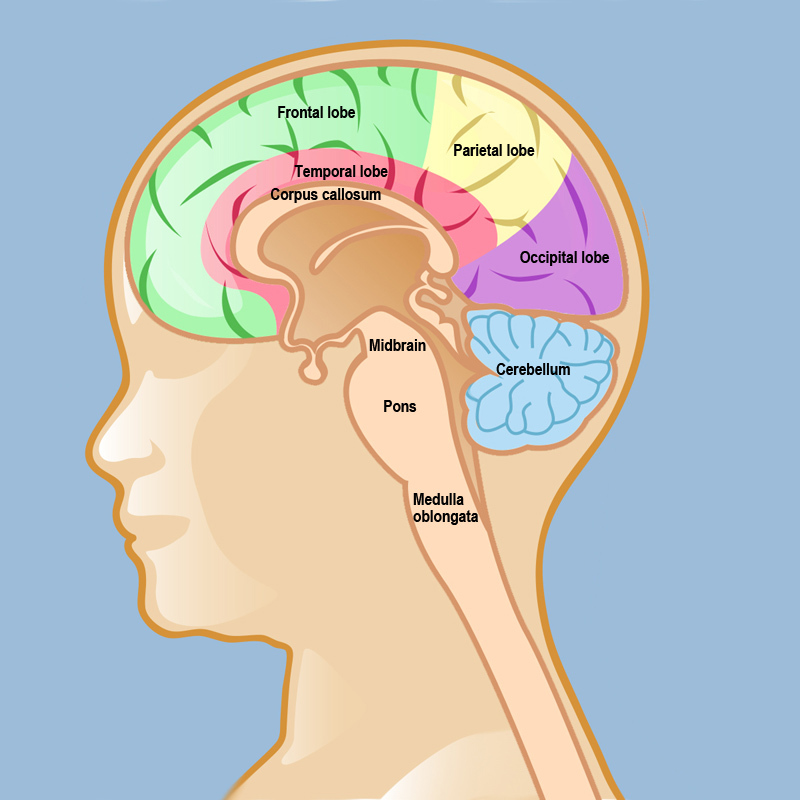 What Causes a Pediatric Brain Tumor? Researchers don’t know for sure what causes a brain tumor to develop in a child. Some brain tumors are associated with genetic conditions, such as neurofibromatosis, von Hippel-Lindau disease, Li-Frameni syndrome, and retinoblastoma. Some tumors may be caused by genetic mutations, by exposure to environmental toxins, or by previous radiation treatments for other cancers. 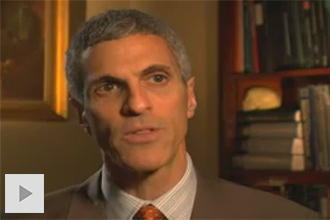 See more about Weill Cornell’s research and the Children’s Brain Tumor Project. At Weill Cornell Brain and Spine Center, our pediatric neurosurgeons are highly skilled in the most advanced procedures for treating pediatric brain tumors. Our relationships with top hospitals, including NewYork/Presbyterian and Memorial Sloan-Kettering, allow our surgeons access to the very best facilities and specialists, as well as the most leading-edge research laboratories, to ensure that your child gets the very best treatment available. Reviewed by Jeffrey Greenfield, M.D., Ph.D.